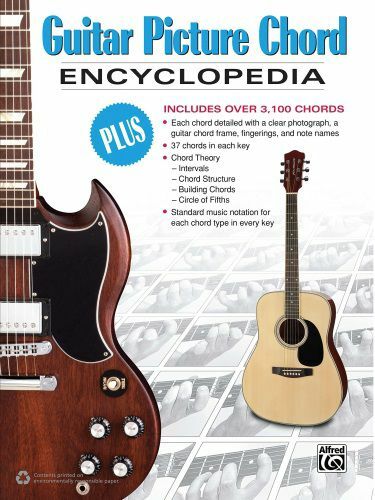 With every chord a guitarist could ever need, you'll never have to buy another reference book again. This comprehensive collection of over 3,100 chords features crystal-clear photographs, chord frames, and standard music notation. Chord fingerings are shown along with note names, and chords are listed both alphabetically and chromatically for easy reference. Chord construction, intervals, inversions, altered chords, and music theory are explained in simple language to give you a complete understanding of what you are playing. This is the only chord encyclopedia you will ever need.